What Do UKFasters Think of Wellness Week? For those of you who’ve been following our social posts this week, you might have noticed that we’ve been showing a little extra love to all our UKFast team. 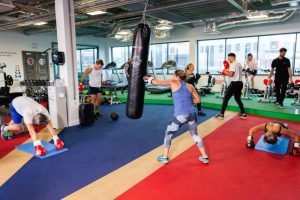 Instead of embracing the January Blues, we’ve been fighting demotivation and the general January slump head on by running our very own UKFast Wellness Week. But what did the team think of wellness week? Let’s find out! “This week there has been such an amazing atmosphere throughout the company. We’ve had a healthy breakfast cooked by our chefs every morning, different fitness classes every lunchtime and a massage therapist offering her services to our employees. This week has brought everyone together. People have been so excited to attend the classes and it definitely lifts everyone’s spirits in work, which shows in their daily productivity. “Wellness in the workplace is really important to me. It’s all about having a healthy mindset. 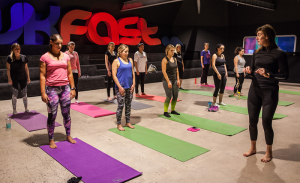 Personally, this always comes from fitness training which UKFast allows everyone in the company to do. Well, you heard it here first! We’re excited to be able to start 2019 on such a positive note and look forward to the months ahead. How do you promote wellbeing in your business? Do you want to work for us? Why not check out our current vacancies and see how you can start your UKFast career today.